First things first. Study at the West Nebraska Division in Scottsbluff and you’ll earn a Bachelor of Science degree from a nationally ranked and world class health science center and nursing college. And later if you’d like, the West Nebraska Division will provide full options through the Master’s (MSN) and doctorial (DNP/PhD) levels. Our Scottsbluff campus offers a personal touch learning experience. Beat the big-city, big-classroom blues here. Faculty and staff know you. If you like the one-on-one mentoring, you’ve found a home at WND. It’s not what you might imagine. Side by side on the North Plate River, Scottsbluff and Gering have a thriving population of 23,500. Stunning views of the Scotts Bluff National Monument and Wildcat Hills. Clean air. Friendly community. 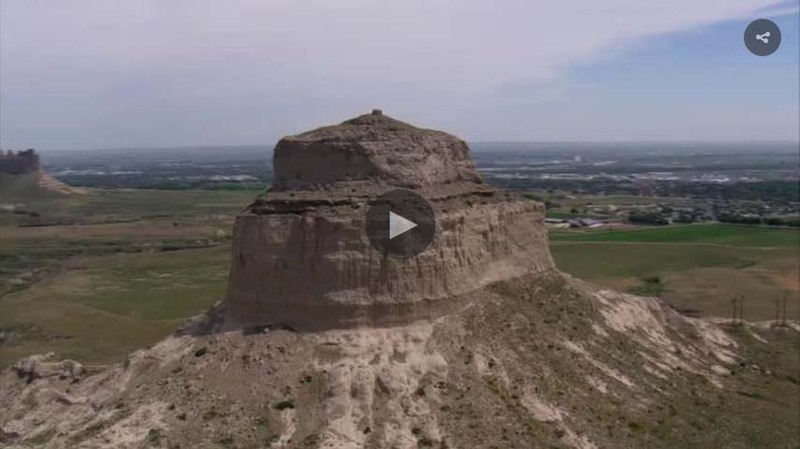 Scottsbluff prides ourselves with our hiking, biking and lakes in our historical community. Our community is proud to be home of top-name restaurants, shopping, theaters and home-town businesses that will spark your interests. Denver is just 3.5 hours away if you feel like hitting the big-city weekend fun. And talk about local support – beyond the friendly face on the street – the western Nebraska community understands that nurses are the frontline of quality health care and that the nursing shortage in rural areas is critical. Work/study plans and scholarships in return for community service commitment are available. The West Nebraska Division offers advanced learning technologies and state of the art learning services, all for tuition that competes as one of the most affordable in the nation. As a state-supported institution, we offer tuition rates for Nebraska residents that are substantially lower than private colleges or universities. More financial assistance may exist for students so we encourage you to contact our office for information about those opportunities. Students do clinical training at several local medical facilities, physician offices and health care centers. Among them is the Regional West Medical Center, which is a fully accredited 184-bed acute care regional medical center that serves western Nebraska, northeast Colorado and southeast Wyoming. RWMC is one of only three Level II trauma centers in Nebraska and has earned status of regional referral center. UNMC College of Nursing is located on the northern edge of town and only 2 minutes from the RWMC. Student housing options include the Inn Touch, which features renovated private rooms w/ private bathroom and common kitchen, living and laundry areas supplied and supplemented by RWMC. For more information call 308-630-1222. The Downtown Apartment and Summit Apartment complexes also offer renovated 1, 2 and 3 bedroom apartments with preference given to nursing students. For more information call 308-632-2833. The WNCC dorm rooms are available as private and semi-private. For more information call 308-635-6112. Another thing for you to consider. The Scottsbluff Learning Resource Center each year hosts conferences on campus partnering with Regional West Medical Center and Children’s Hospital in Denver. The conferences offer hands on activities such as the RWMC Air Link and Birthing Center on campus to run scenarios on our high fidelity simulators for training purposes. The West Nebraska Division in Scottsbluff. We can’t wait to meet you. Scotts Bluff National Monument in Gering Nebraska was established as a national Monument in 1919. Towering above the North Platte River, Scotts Bluff has served as a landmark for Native Americans to emigrants on the Oregon, California and Mormon Trails to travelers of today. Rich with paleontology and geological history as well as human history, the bluffs were the first large rock formations along the river where the Great Plains started giving way to the foothills of the Rocky Mountains.